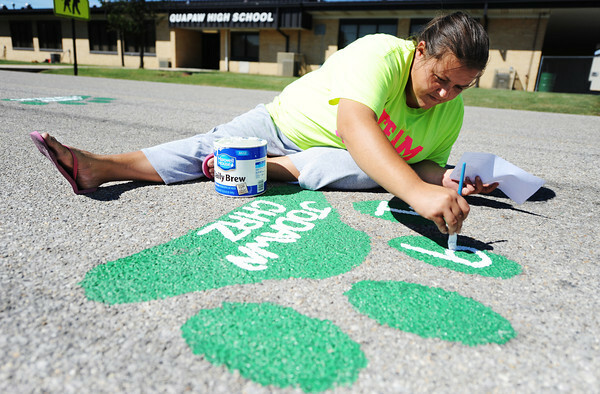 Lacey Richardson of Quapaw, secretary-treasurer of the Quapaw Community Booster Club, paints a paw print and donor's graduation year Friday afternoon, Sept. 13, 2013, in front of Quapaw High School. Funds raised from the sale of more than 100 paw prints go toward the Hay Days Festival, other activities and to create new scholarships next spring. "We will sell them until it's too cold to paint," Richardson said.